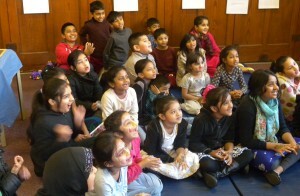 The Different Moons project developed as part of Horse + Bamboo Theatre‘s involvement with our local community. 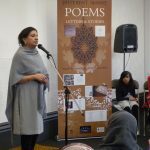 The initial idea was to record the history and stories of some of the many individuals from Pakistan, Bangladesh and India who came to Britain after the Second World War and settled in Rossendale, particularly in Haslingden and Rawtenstall. The project was started in 2013 by Joint Artistic Director Bob Frith, but has been led and developed by artists mainly from a South Asian background. 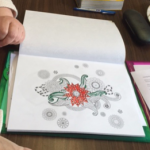 We used the stories we heard from the first immigrants to inspire and encourage the younger generation of South Asians living locally to express their own feelings and ideas. 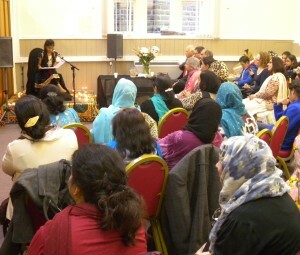 Later on Different Moons developed a wider reach, offering a range of events and creative activities for the South Asian community as well as opening a drop-in centre in Haslingden, the Apna. From 2014 to 2016 the project was funded by the Heritage Lottery Fund, and we would like to acknowledge our gratitude for their enthusiastic support of the project. The goals for the Different Moons project were broad and varied. 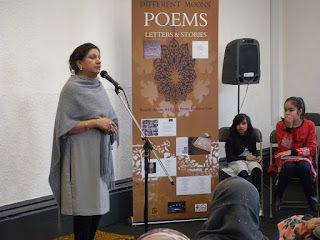 There were creative goals that included reinvigorating an interest in South Asian and Islamic arts and poetry; intergenerational dialogue; recording and safeguarding heritage; increasing self-esteem and participation in the arts. The outcomes as evidenced by the events, publications, animations and archives have all been part of the creative and institutional goals we had set ourselves. Previous experience with the Horse + Bamboo theatre show ‘Angus – Weaver of Grass’ (written and directed by Bob Frith) had some parallels, Preparation and research for this relied on interviewing relatives and participants in Angus’s story. 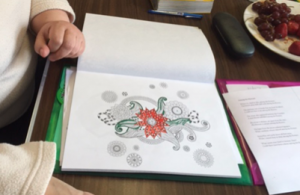 It shared the same combination of discovering histories through interviewing, working across different languages and cultures, and the potential of helping communities through creative and cultural support and development. The play was told largely as a visual drama, but when language was used it was Gaelic, which was the mother tongue for Angus and his island community. Gaelic is a language currently very much under threat. The Different Moons Project has had an added dimension in that it has addressed local issues and needs both for South Asian Communities and Horse and Bamboo Theatre. For Horse + Bamboo the project has helped the company to engage more with the South Asian Communities living and working within their region, communities who had been historically underrepresented at all levels of service. Through consultation with Shamshad Khan (Project Leader) steps were taken to address representation on the Horse + Bamboo board; adopting a multi-layered approach and sensitivity when working with and supporting South Asian participants.